Barbara Searles, LMT, BCTMB, HHC, AADP: Now a health and wellness professional, Barbara spent many years in the worlds of advertising and marketing. Her personal and business mission is helping people living with chronic pain and inflammation maximize their energy and minimize their pain through better nutritional and lifestyle choices. 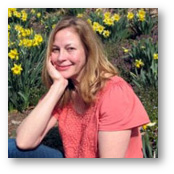 A Certified Massage Therapist since 2003, Barbara is also licensed by the state of Pennsylvania and nationally certified by the NCBTMB. Barbara approaches therapeutic massage as an integrative experience; combining a variety of styles and techniques to relax and renew her clients. Since 2006, she has studied extensively with John F. Barnes, PT to learn his approach to Myofascial Release. 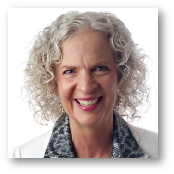 A Holistic Health Coach since 2010, Barbara was trained through the Institute for Integrative Nutrition. She is board certified through the American Association of Drugless Practitioners. In October 2014 Barbara published her first book, Kick Pain in the Kitchen: Holistic Pain Relief You Can Eat. It offers you a holistic approach to pain relief that can be integrated with many treatment plans. It’s full of straightforward, every day steps that you can start using right away. Learn why healthy, whole foods and other pain relieving changes can help. Plus, get a practical game plan structured through the meals of the day. Kick Pain in the Kitchen is part informational, part inspirational, and part practical. You’ll finish the book with plenty of options and a new focus on healthy habits to relieve your pain naturally. Lorelei Nissly, LMT: Since graduating from Pennsylvania School of Muscle Therapy in 1993, Lorelei has worked with clients of all ages, male and female. Having worked in settings from spa to chiropractic office, she has developed an intuitive style and uses a variety of techniques to help clients reach their health and wellness goals. Lorelei is also licensed in the states of Pennsylvania and Washington. Her core training in Swedish massage is enhanced by sports massage, energy work, foot reflexology, hot stones, and most recently Bowenwork. Lorelei has completed six courses of this amazing, therapeutic technique and is focused on becoming a certified Bowenwork practitioner. For more about Bowen, go to www.bowenworkacademyusa.com. Lorelei is thrilled to be practicing at Bodyworks and is currently accepting new clients. She welcomes the opportunity to be a part of your wellness team.